Customer who choose automotive parts and accessories from the SIEGEL Automotive brand at attractive prices can still count on the guaranteed reliability of the products. All products of the brand of Diesel Technic from Germany are subject to the strict test specifications of the Diesel Technic Quality System (DTQS). From now on, the new seal of approval can be found on the closure of the product packaging from SIEGEL Automotive. The DTQS ensures that the branded products are from guaranteed quality. The green checkmark stands for the quality tested by Diesel Technic according to German standards and guidelines. The seal symbolizes the knowledge of Diesel Technic and thus decades of experience in the industry. A worldwide 12-month guarantee for products of the brand SIEGEL Automotive, which starts from the purchase of the product by the end user, completes the service promise. 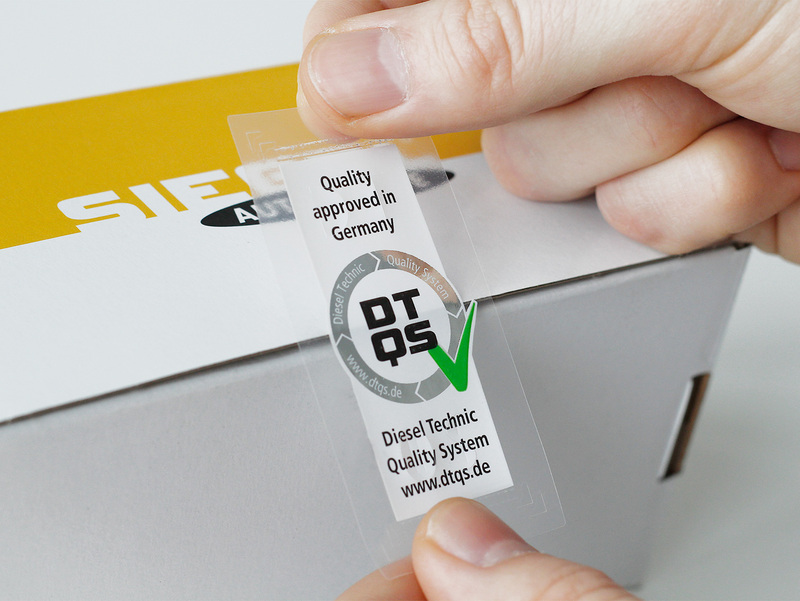 The DTQS is a self-developed solution from Diesel Technic, suitable for the new company positioning "Global Automotive Solutions – Made in Germany". The quality standards are based on the guidelines of the automotive industry; the products are tested according to strict specifications in Germany. The recalls of recent years have shown that even original parts of vehicle manufacturers are not always free from serial defects. Diesel Technic therefore takes the users' feedback very seriously and checks whether assembly or product optimization options can be initiated. The DTQS logo on the new seal represents the Continuous Improvement Process (CIP) according to PDCA = plan, do, check, act. Nevertheless, should there be a problem with a product, the dealers are available for the handling. These are supported by the aftersales service of Diesel Technic.